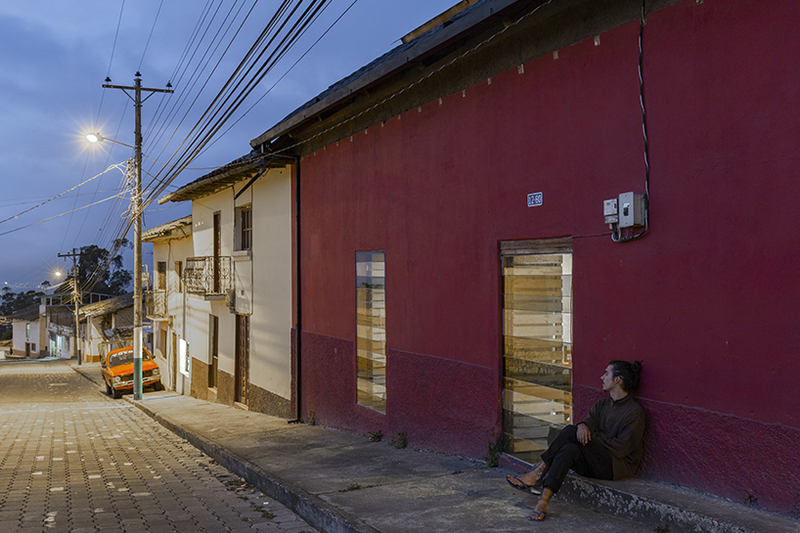 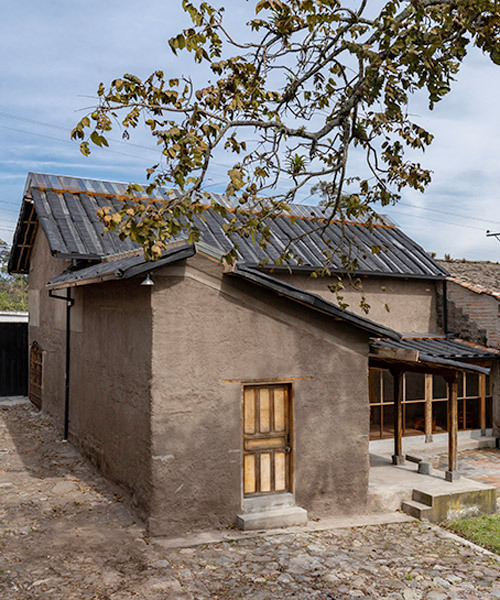 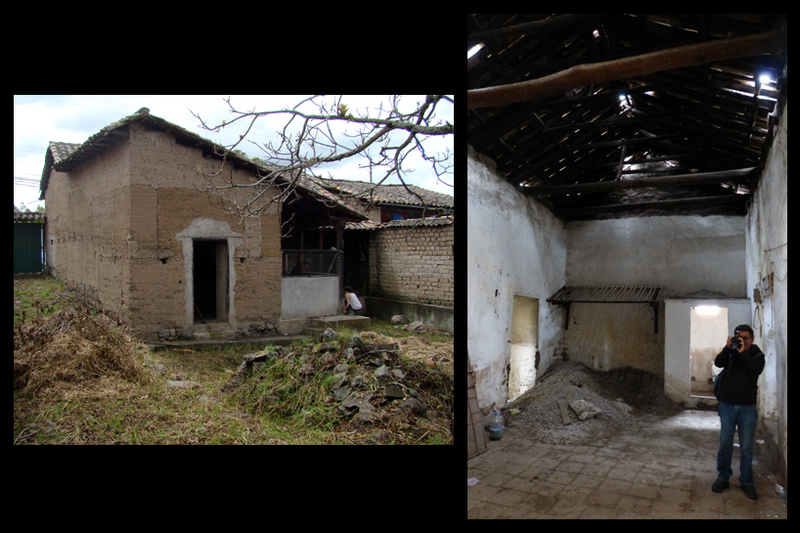 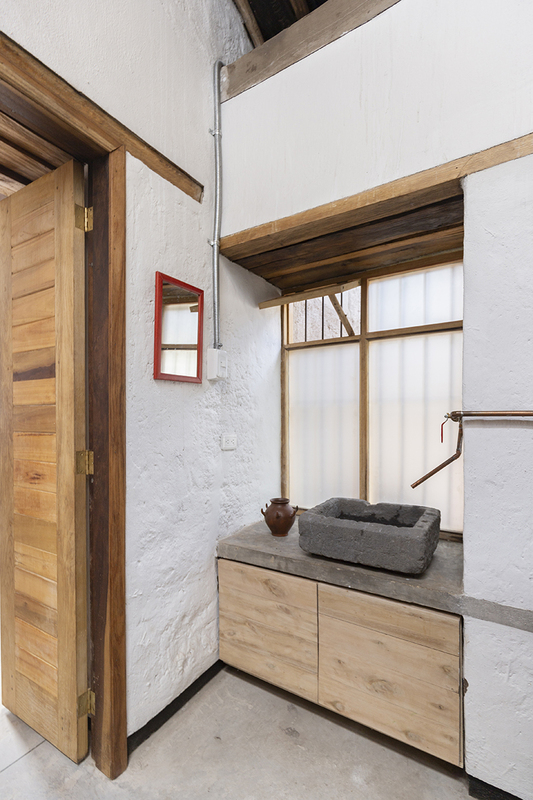 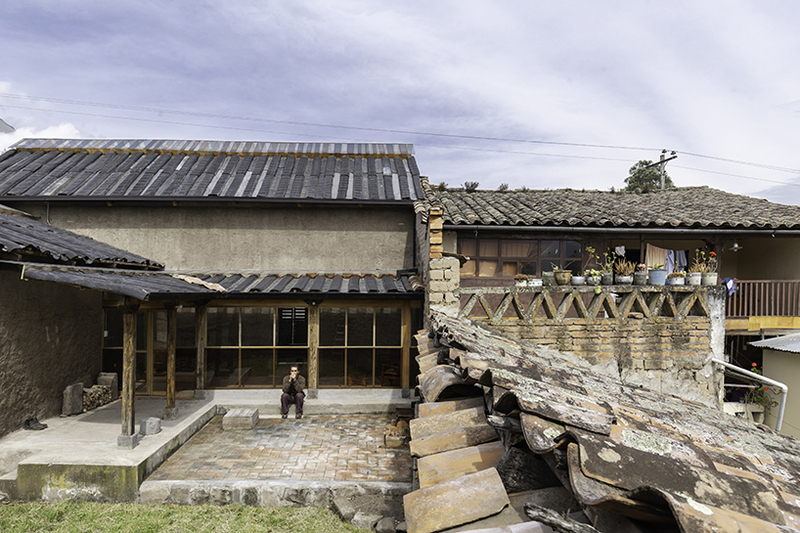 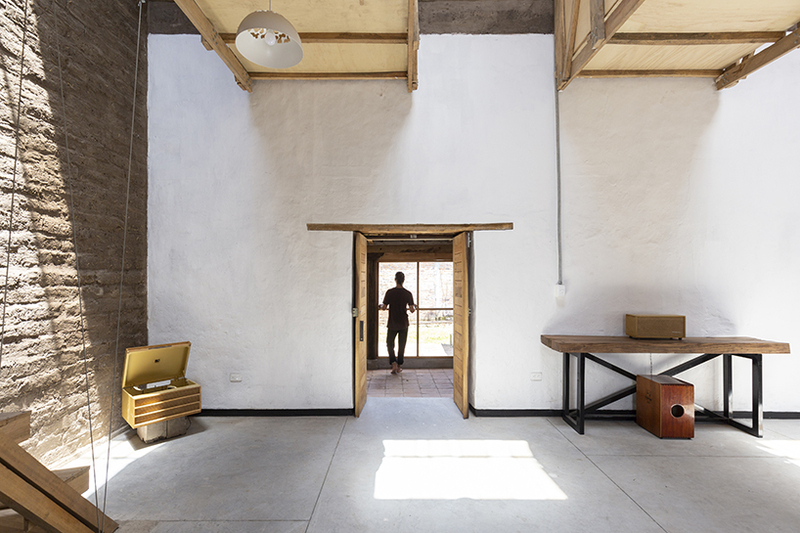 ecuador-based studio al borde has refurbished a seemingly useless ruined house in ibarra into a modern family home. 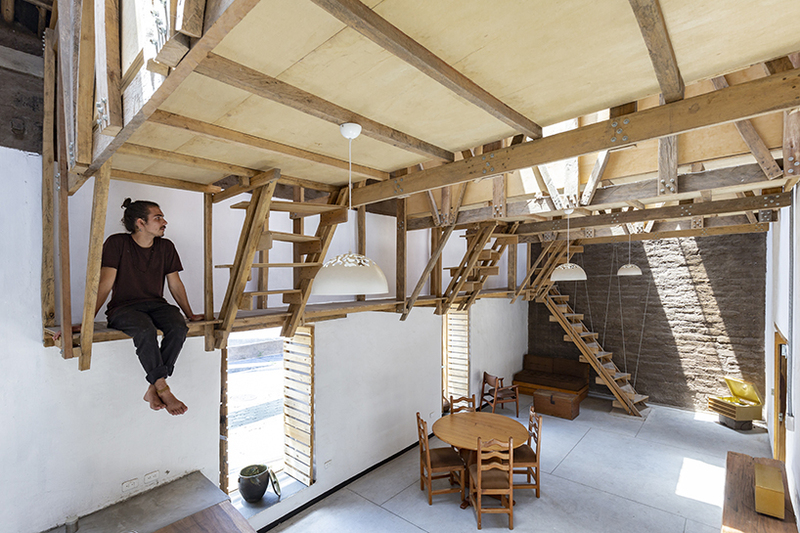 having kept the existing earth walls, the architects reinforced them maintaining the open layout of the space, and adding one little yet very significant element — suspended beds for each member of the family under the ceiling. 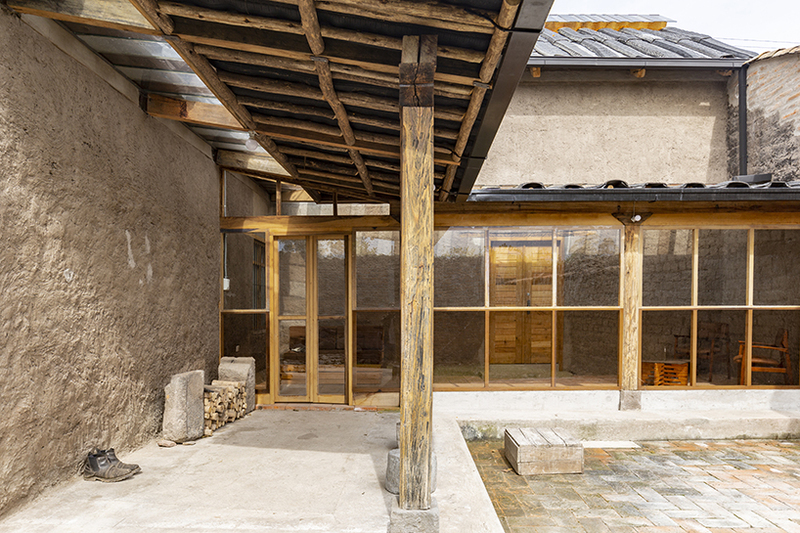 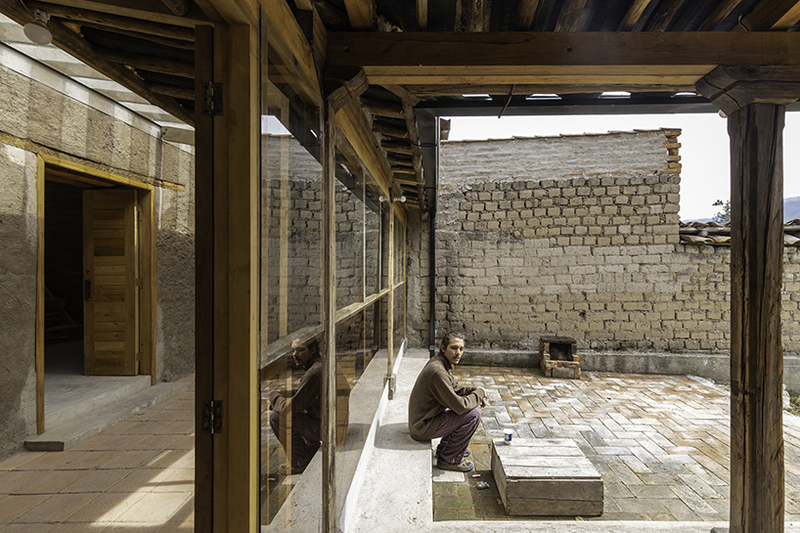 the final finishes of al borde’s completed work are almost the same as they were there in the 18th century, as the refurbishings that were done are a few and strategic — structural walls are reinforced, rammed earth is treated, doors and windows that were in poor condition are changed, and the floor is clad with polished concrete. 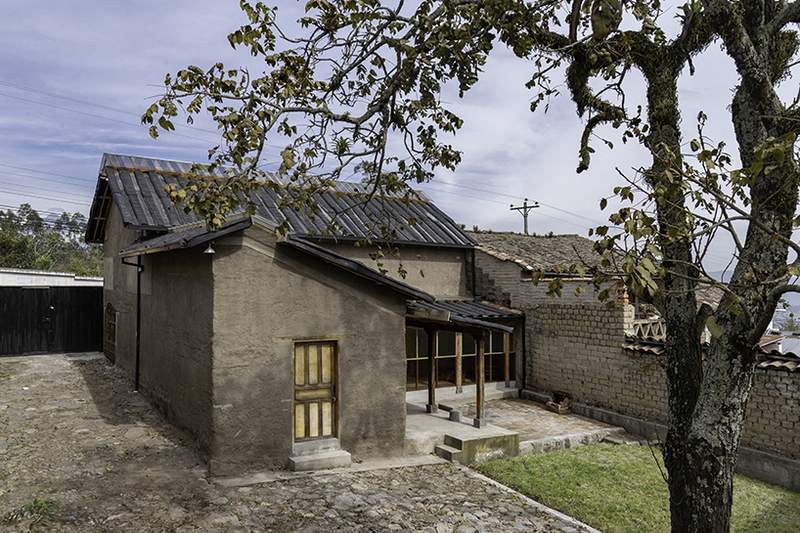 the old roof was not eligible for reuse, so the architects replaced it with a new one made of recycled tires, solving the bedrooms too. 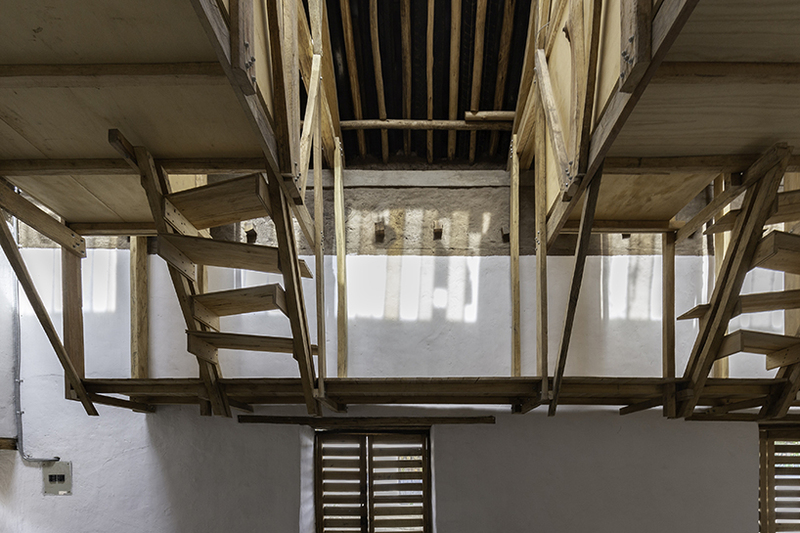 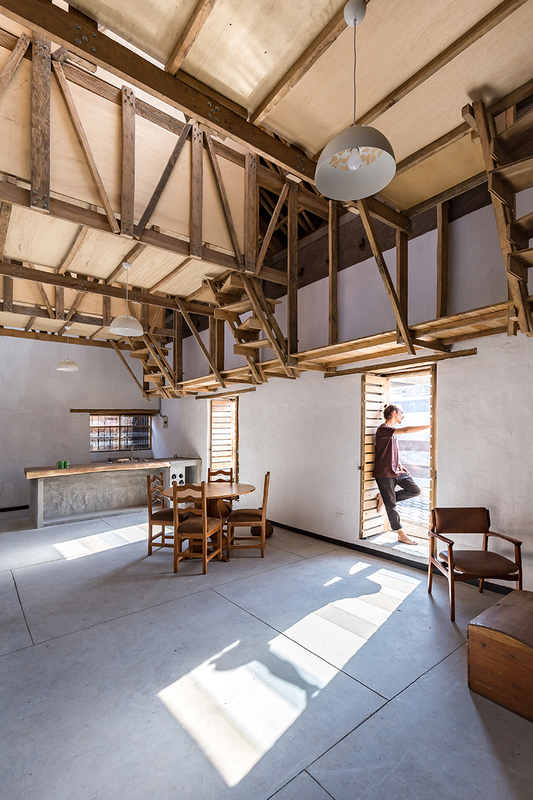 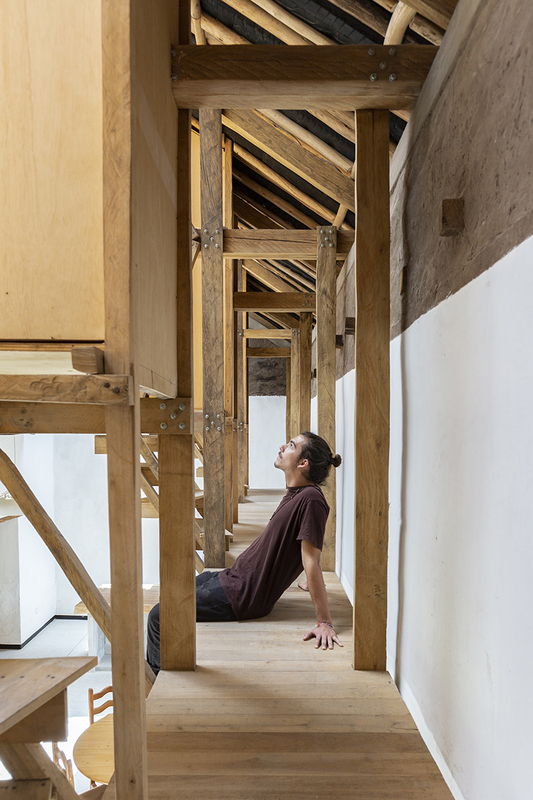 a new upper bond beam connects the walls, while above it, eucalyptus trusses were installed each meter and fifty-five centimeters with three wooden bed capsules built between them.